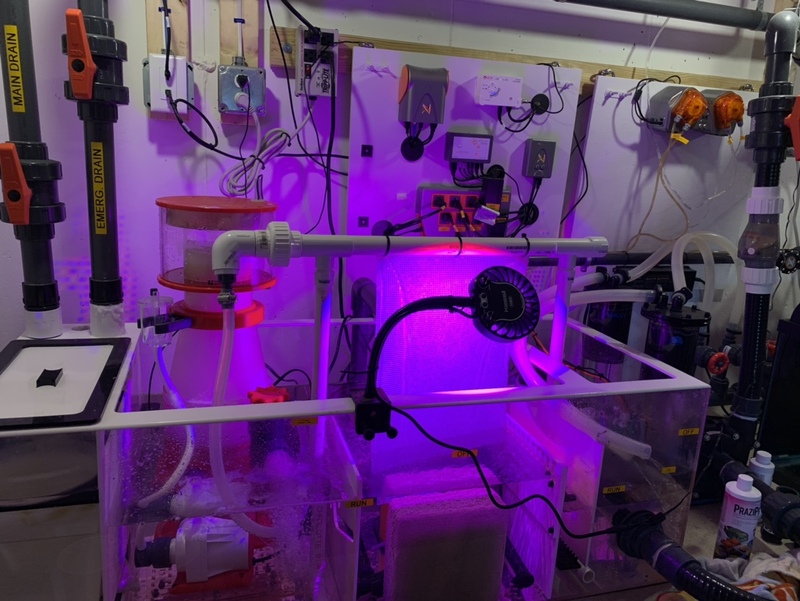 Just fished building my first algae scrubber and installing. Any thoughts? Or changes? Is that water shooting off the aide instead of down the plastic mesh? If so I would suggest a larger hole size where it does to reduce pressure. If not it is probably the boarder of the water and the dry mesh I am seeing. Looks good. How is the sound from it? My requirements are dead silent because my tank is in the living room. It’s the dry mesh part. I made some adjustments so it’s better than the picture. Sounds is pretty quiet. The mesh extends into the water so there is not much splashing sounds. My tank is upstairs from the sump so not much concern on my end for sound, but it is quiet. Hopefully this will help with this weird brownish algae I have in my tank.